Show of hands, how many of you have seen a lunar eclipse? I would expect most hands to be up right now because lunar eclipses are quite common and simple to look at. I mean, you don't have to worry about burning your retina when you look at the moon! Now, show of hands, how many of you have seen a solar eclipse? Not as many. 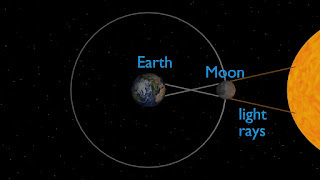 You see solar eclipses do not happen nearly so often and cannot be viewed with the naked eye. Never look directly at the sun even when eclipsed, it seriously can burn your retinas. I wouldn't want anyone going blind just to see the phenomenon of a solar eclipse, so just do NOT look at the sun directly at any time. Likewise, sunglasses cannot protect your eyes from the sun's intensity during a solar eclipse. Just say not to sunglasses for solar eclipse viewing. You need special Eclipse Glasses to look directly at the solar eclipse. However, there is another way to view a solar eclipse. 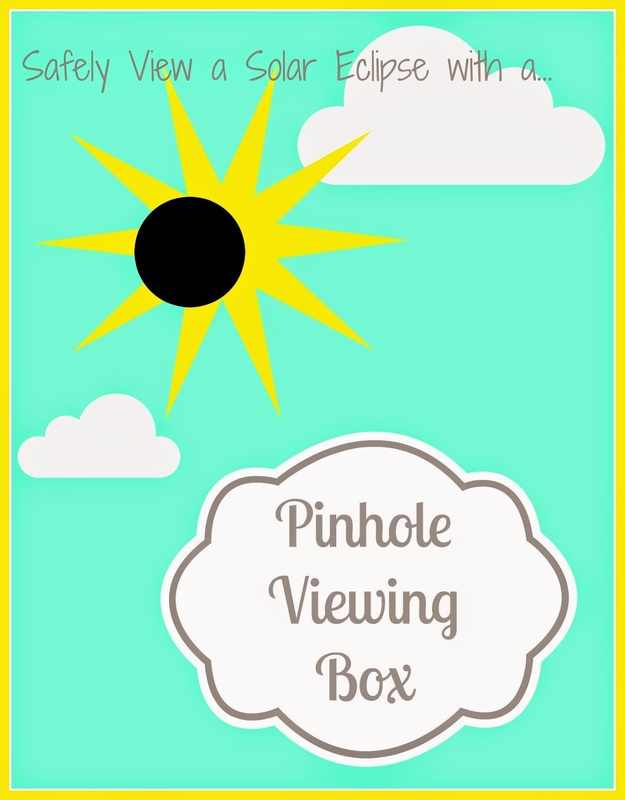 By making your very own Pinhole Viewing Box (also know as a pinhole camera, but you don't take a picture, so that never made sense to me). This is really simple. So simple, that your kids can likely do it with little help from you. In fact, you could let all of your kids make their own, and then they really get their hands on science! 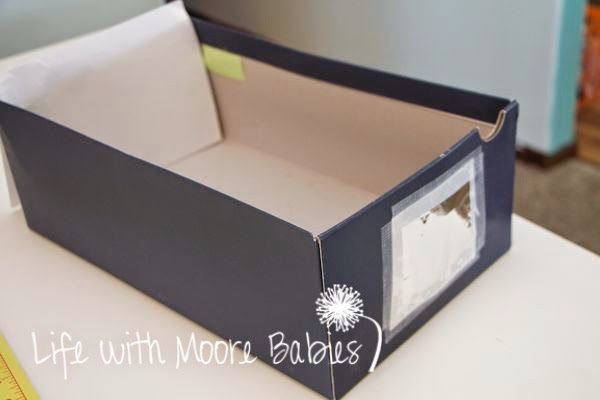 Cut a hole in one side of your box and cover with aluminum foil. Use your pin to make a small hole in the center of the foil.The bigger the hole the fuzzier the image. We left ours tiny and our image is small but sharp. As you probably guessed, step three is the hard part. 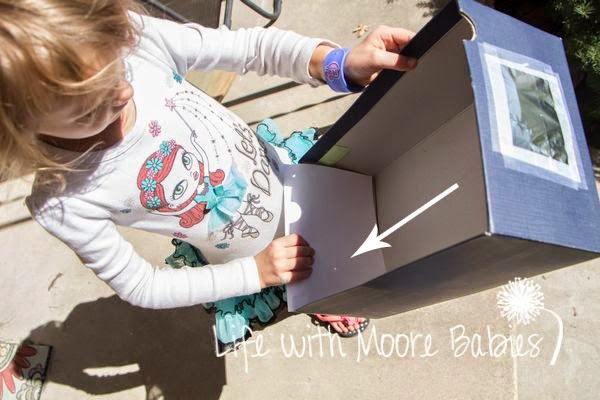 You have to aim your tiny hole at the sun until you have a tiny dot of light in the back of your box. That tiny dot if the sun! That is what you watch to see the solar eclipse. The best way we found to aim the hole at the sun was to make sure the two short ends of the box were lined up. When they are indeed lined up, you will only see a rectangle when you look at the shadow. If you see a funky shape it is not lined up! Like I said, the dot is tiny. 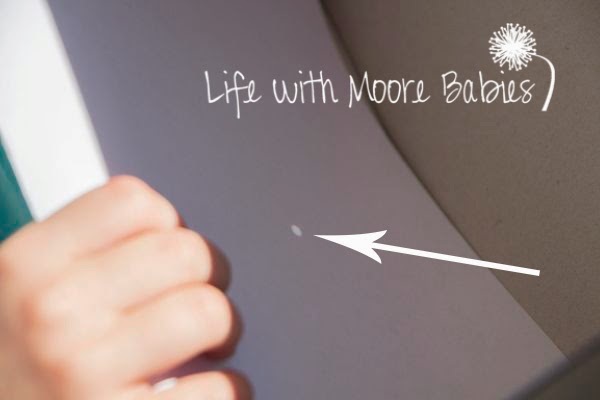 You can increase the size of the dot by increasing the size of the pinhole. You can also increase the size of the dot by increasing the length of the box. 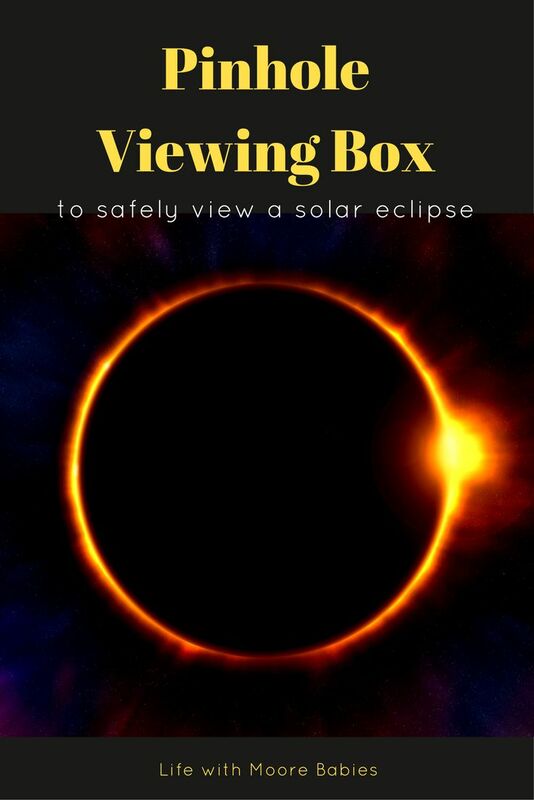 Now you have a safe way to view a solar eclipse, you might want to practice finding the sun in it a few times before the actual eclipse occurs. You might also want to explain to your kids how a solar eclipse happens. It would help if they had a basic understanding of the Earth's Rotation and Revolution, but a simple explanation can help too. 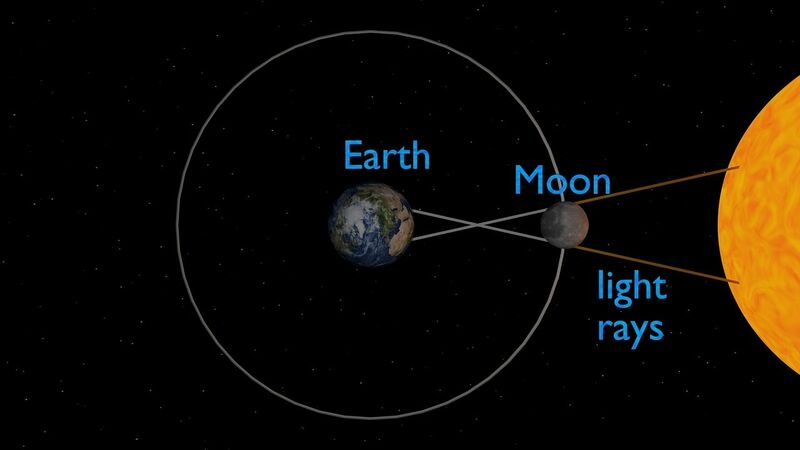 The simplest explanation is that a solar eclipse occurs when the moon is between the earth and the sun blocking the sun's light. I think even young children can understand something blocking light. Now get your pinhole viewing box ready because there is a Solar Eclipse coming in August 2017! Find out if and when you will be able to see it HERE. If you are going to watch a solar eclipse with anyone else, please, please remind them to save their retinas! That's right no looking directly at the sun at any time; use the pinhole viewing box (camera) or eclipse glasses! Follow this link for more Eclipse Viewing Saftey Information from NASA!